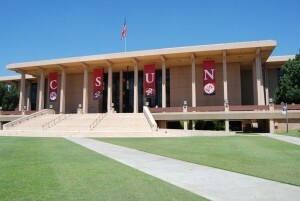 Hello Matadors! Welcome to the 2018-19 academic year! We at the Library are here to help you get off to a good start. Here’s an overview of some Library resources and services you can take advantage of during the months ahead. Ask a Librarian – Please visit the reference desk in the Learning Commons on the 1st floor for help with your research questions. You also can access our 24/7 Online Virtual Reference Chat Room Service, Text or Email your questions. Appointments may be made with a librarian for lengthier consultations on a topic for a research assignment or paper. Textbooks on Reserve and Course Reserves – Some textbooks are available through the Campus Quality Fee program. 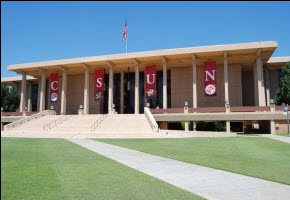 You can search for a textbook by your professor’s last name or course number by visiting http://library.csun.edu/CourseReserves. These and other Course Reserve books are located in the Reserves, Periodicals, and Microform Room on the 4th floor, east wing of the Library. Library Computing – Laptop computers and tablets are available for borrowing. Desktop computing, and black and white and color printing are some of the resources available on the 1st floor Learning Commons. Creative Media Studio – The Creative Media Studio provides Matadors with the equipment needed to create first-rate, multimedia projects. iMac workstations; cutting-edge software; a soundproof recording studio; video cameras; audio recorders; scanner and 3D printer are available. Workshops for using certain technologies are available during different times in the semester. Group Study Rooms – Group and individual study areas and rooms are available on all floors of the Library. You can reserve a study room online. How-to Guides & Tutorials – Numerous online guides and tutorials can help introduce you to finding articles in our databases and books in our collection. Additional online guides and tutorials can support you from the beginning to the end of your research process. Freudian Sip Coffeehouse – Local and certified organic brewed coffee, organic teas, baked goods, sandwiches, and other snacks are available in the coffeehouse located on the 1st floor lobby of the Library. We look forward to seeing you and helping you navigate a successful new year! Previous Post Summer Reading Picks Are Here! Next Post Celebrate the Freedom to Read During Banned Books Week!